Who Am I Amidst the Games I Play? IAM sure you have asked yourself this question to yourself so many times… as you notice life being unfair, not going your way, disappointing AND you end up wondering what you have to resort to, to get somewhere in life, be noticed and successful. Well IAM here to remind YOU that the game YOU play, the game we all play… we created it all, and it was never meant for YOU to get anywhere… it was meant for YOU to experience All of Life and be able to realise Who You Are… just the way you are. Take away the pressure of achieving a goal… perfection… success, you can experience life as simple, flowing, adventurous, magnificent and all powerful… AND realise YOU are a unique part in it. Your Magnificent Self… is the part of YOU that is not separate from All of Life… consciousness… the Divine loving presence who is always with you and witnesses everything… AND who YOU truly are. We are living in different times now… the NEW energies, we have all attracted, continue to pour onto Mother Earth allowing her and everyone that chooses… to take on our natural innate high vibrations of love, joy, unity and abundance. It is for each person to choose and feel into these NEW energies and realise the truth. Life flows in quite wondrous ways when you allow… Amazon.com recently ordered 17 of my paperbacks so they have stocked up in USA for Thanksgiving, Black Friday, Cyber Monday & the Holiday season. All that is left now… is for YOU to purchase it and allow the creative new energy to resonate with YOUR TRUTH and take you out of playing the Game. Especially for Black Friday and Cyber Monday, from 24th November until 30th November, IAM offering my online five week MasterCreator Class for a really great price of € 13. It is my gift to everyone… to help you commit to and celebrate your NEW role as Master and Creator and live a life of celebration. A 35 day dedication to YOU. 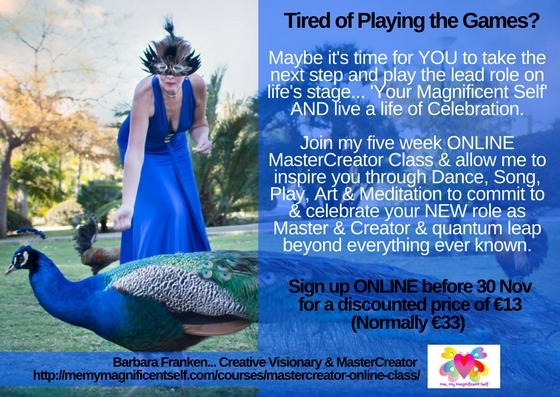 Are you READY to dive deep within yourself and prepare for your new role as Master & Creator? 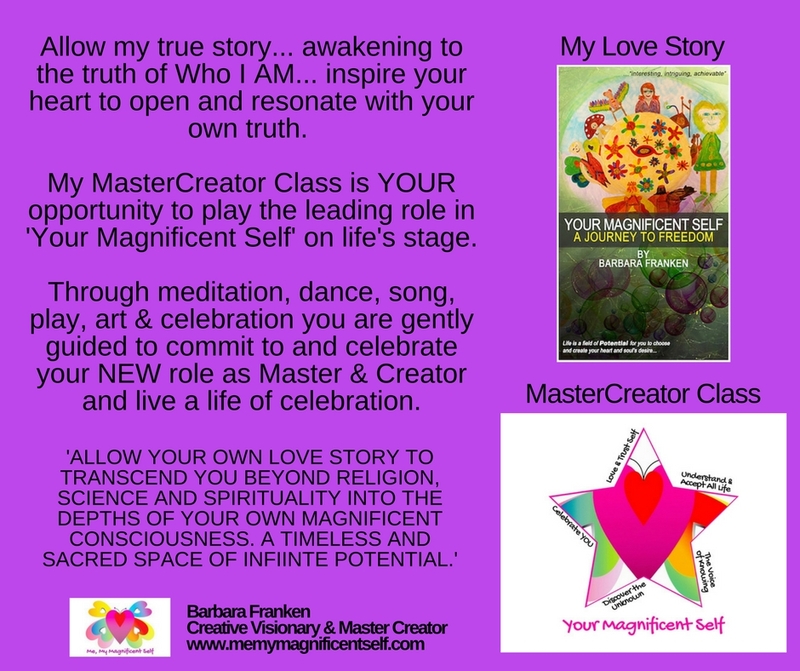 As Earth & Humankind find themselves amidst great change and transformation… my MasterCreator Class gently guides you into unknown territory for you to create a life of freedom, compassion and celebration.